An investigation is underway after a home on Grace and Grand Avenue caught fire Sunday night. And we now know that a body was found inside. 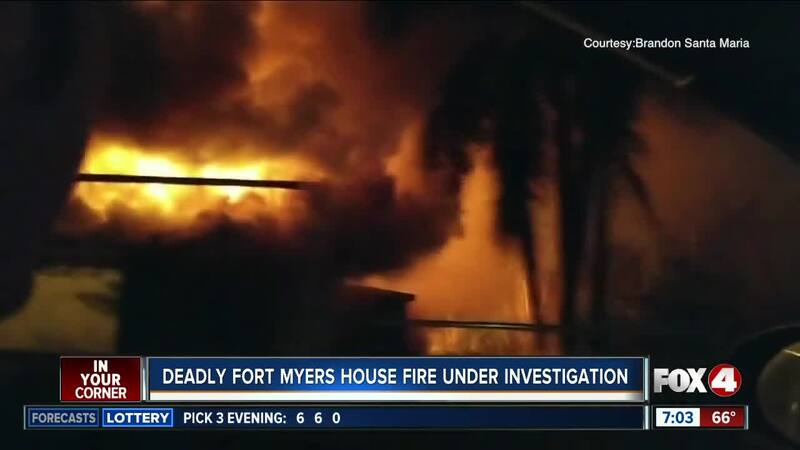 FORT MYERS, Fla. -- At least one person was killed in a house fire overnight in Fort Myers. A viewer sent Fox 4 incredible video showing flames higher than the house. An investigation is underway after a home on Grace Avenue off Grand Avenue caught fire at approximately 9 p.m. Sunday night. And we now know that a body was found inside. The house looks like it's boarded up and investigators say it could be an abandoned home. 4 in Your Corner will keep you updated as new details emerge in this deadly incident.